Maroon is the ideal option for those that want to wear red without opting for a dominating bright red shade of the color. This is the perfect option for a clean and sleek look, new from Puccini. 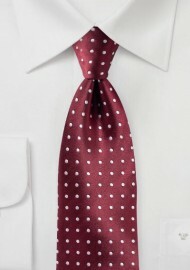 Simple white dots are sprinkled throughout the tie giving it a bit of personality. 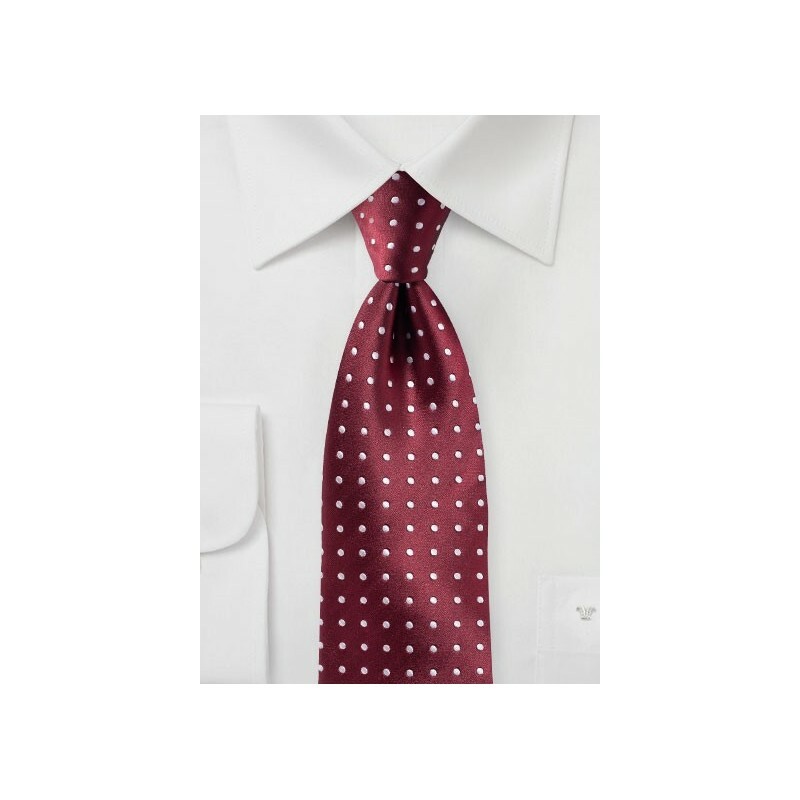 This tie is handmade from woven microfiber, a material that is built to last the test of time.